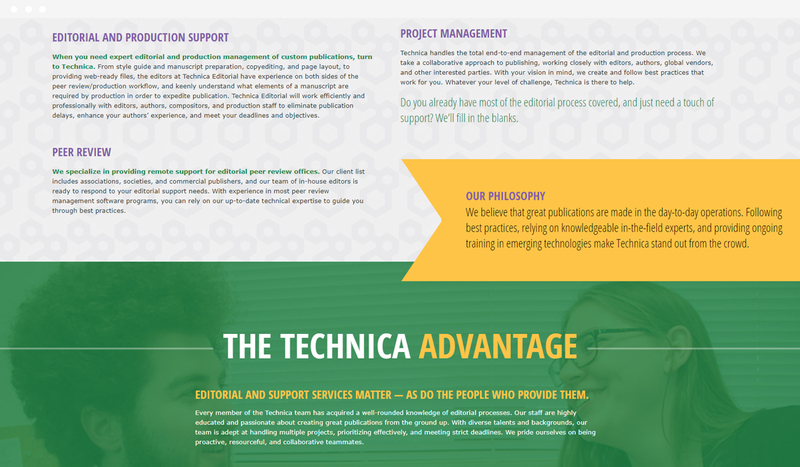 Technica Editorial Services handles total management of the editorial and production process for their clients. 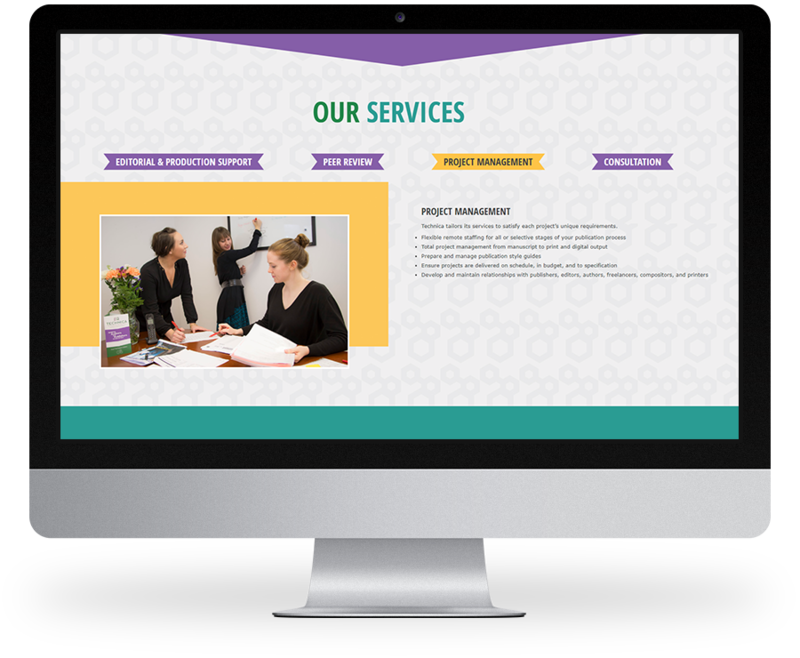 Their specific services range from project management to copy editing to layout and formatting. Technica’s original website was very utilitarian and didn’t do much to encourage engagement from prospective clients. Kompleks Creative completely overhauled Technica’s logo design, as well as their website development. We wanted to help them take advantage of their digital presence, not just in terms of putting information out into the ether, but as an inbound marketing tool that generates leads. Our web design incorporated modern design elements and responsive functionality along with an eye-catching color palette. The effect is professional and current, and the website and new brand identity better represent the culture at Technica. "We felt like we were partnering with an agency, rather than just hiring someone for a single project."